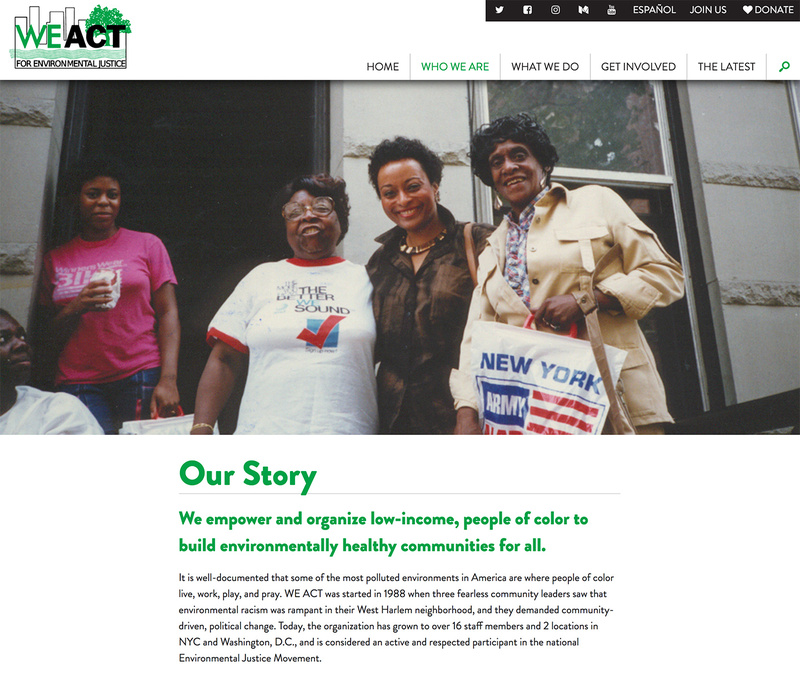 WE ACT needed a place on the web that told the organization’s incredible story and helped organize their many members around their public actions. 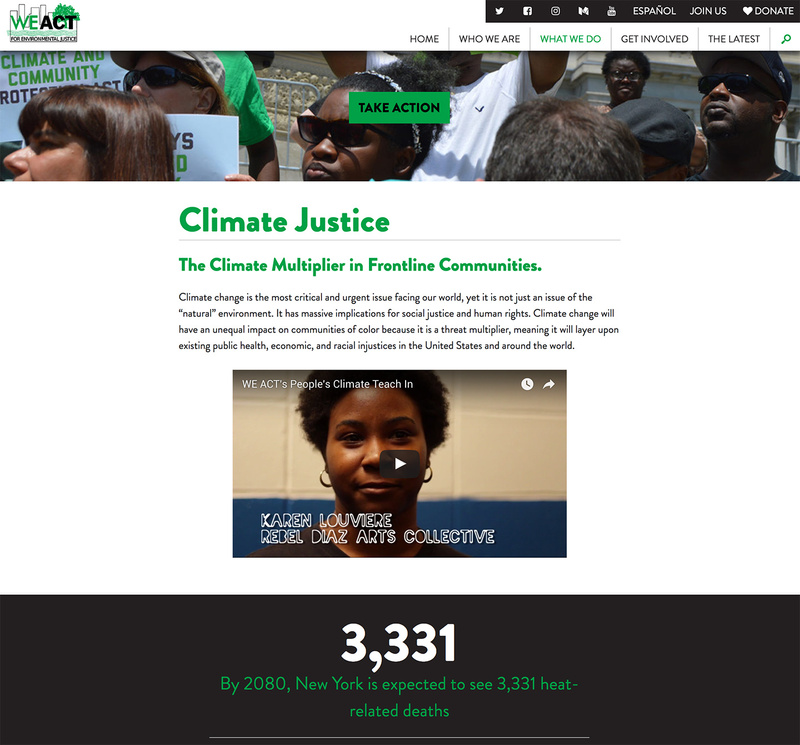 WEACT’s new site utilizes dynamic content “hubs,” with a custom CMS built to dynamically build sections which combine and collate related content from across the spectrum of their advocacy. 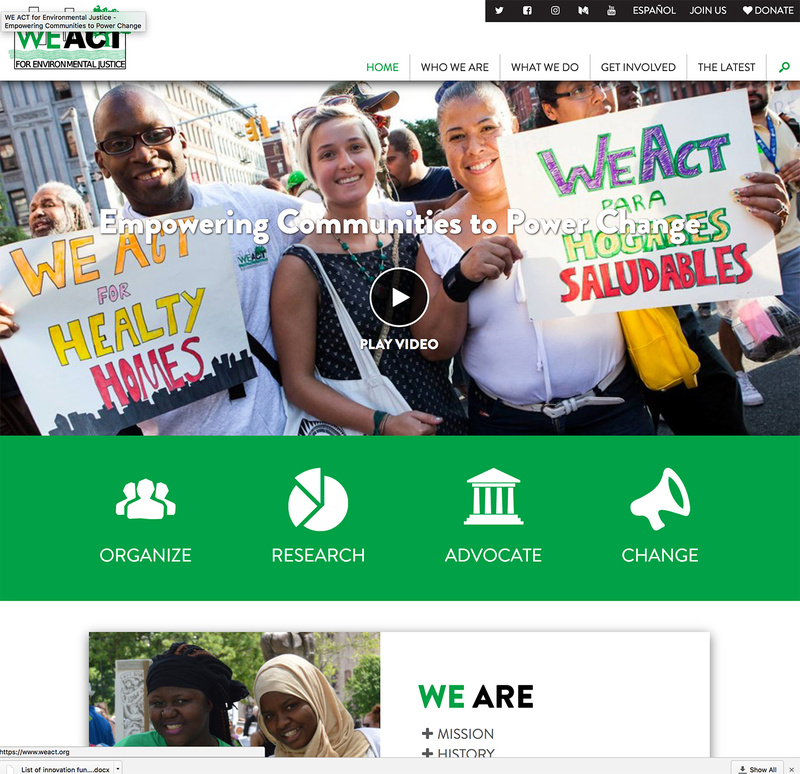 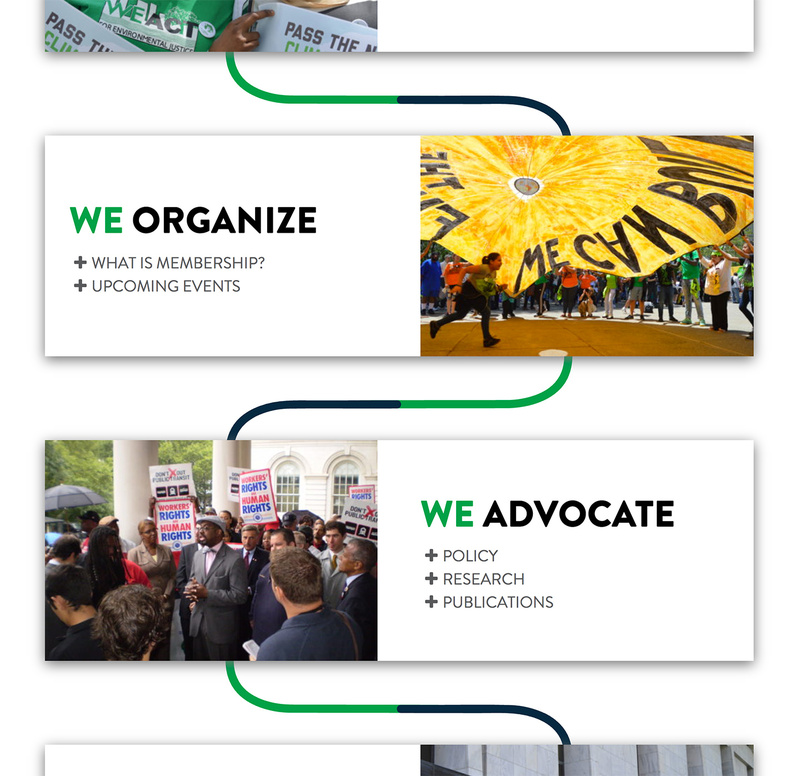 Tying in third-party integration with organizing and membership tools, the new site provides WEACT with a new toolset for activism in today’s critically important activist environment. 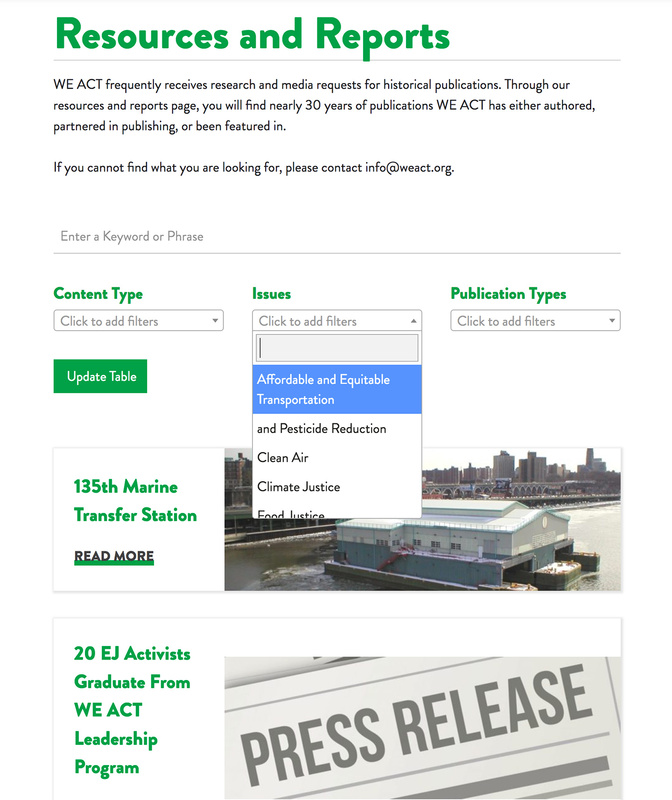 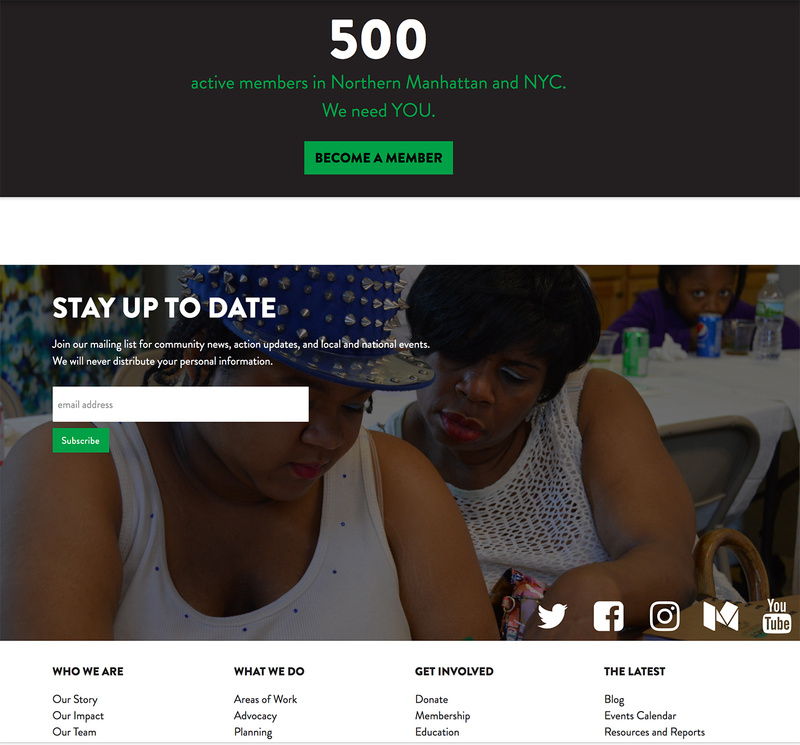 We were happy to work with West Harlem Environmental Action on the overhaul of their new flagship website. 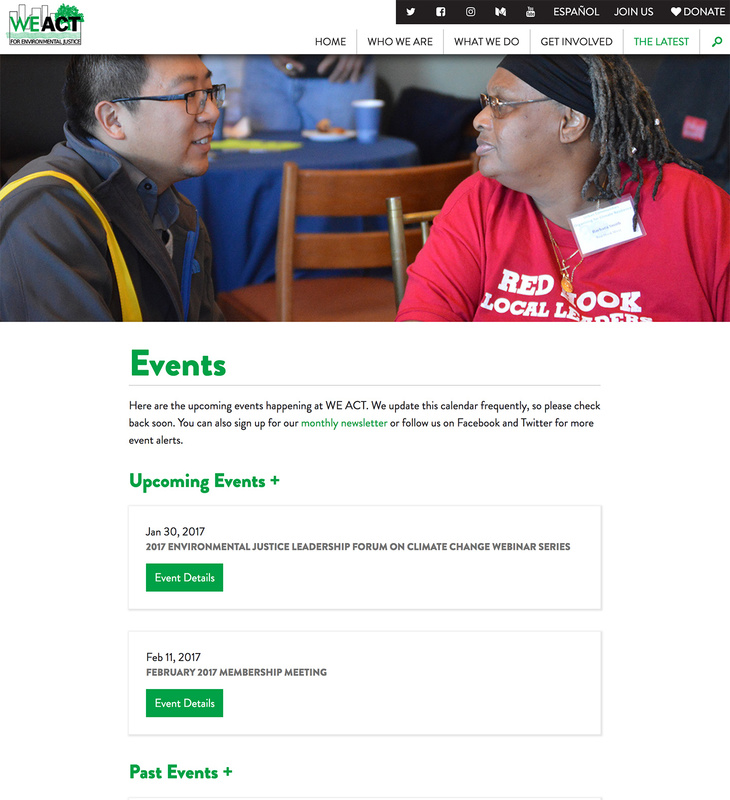 It’s a continuation of our great work on websites for nonprofits!